If you thought snail mail was slow before, you haven't seen anything yet. The revenue-strapped U.S. Postal Service announced yet another way to cut costs: shave the delivery time on first class mail. Currently, first class mail gets delivered in one to three days within the continental U.S. Yesterday's announcement that the agency is going forward with its plans to begin eliminating nearly half of its 487 mail processing centers in March would extend delivery times to roughly two to three days, as mail would spend more time traveling between post offices. To be sure, the move was expected. In September, the USPS announced that it would study the effects of closing more than 250 mail processing centers. While many business owners have given up regular mail delivery in lieu of digital correspondence or online bill paying. But a number of Americans are still licking envelopes. 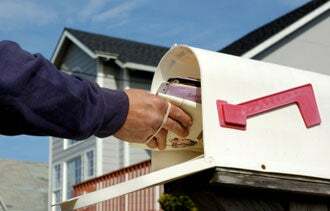 Patrick Donahoe, the postmaster general, told the New York Times that about 40 percent of people still pay their bills through the mail. Don't wait until the last minute. As credit card companies increasingly look for more ways to fill the gap in their revenues brought on by the passage of last year's credit card law, late payment fees have already begun to tick up. Some banks now charge $25 to $35 if you're late paying a bill. To save yourself from being nickel and dimed, sign up for automatic bill pay through your bank, or, when you see that you're cutting it close, make an online payment right away. Target your efforts. If you have a mailing list, consider cutting it down to save on postage. For instance, sending a mailing to everyone who lives in your shop's zip code is less effective -- and more expensive -- than sending an invite to shop or discount offer to your actual customers. You'll want to cater to your best customers, not everyone in the neighborhood. Also, if you receive returned mail, be sure to cross that person off your list. Go digital. In addition to sending out email newsletters in lieu of the paper kind, consider electronic postal services. The cost of sending a letter is also expected to rise to 45 cents from 44 cents on January 22. For $10 to $20 a month, DYMO Endicia, Pitney Bowes and Stamps.com gives small businesses the ability to print U.S. postage through their computers at a discount to USPS rates. For roughly the same price other companies such as Earth Class Mail and Zumbox act as a digital window to your mailbox. You can send messages to customers' private electronic mailboxes, which are accessible anywhere. How will the changes at the USPS affect your business? Leave a comment and let us know.